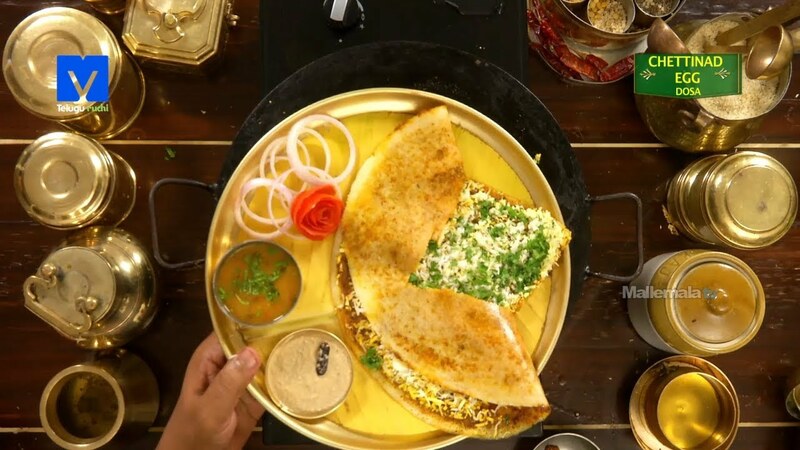 Dosa and egg curry is a very classical combination if the traditional dosa if paired with a gravy from chettinad it’s going to be heaven on earth. So let’s go ahead and see how this pairs up. 1.In a bowl add rice, parboiled rice, urad dal, methi seeds, chana dal, pressed rice, water as required and mix well, then soak for 2-3 hours and grind into a smooth batter. 3.In a kadai heat oil and add black pepper, coriander seeds, cinnamon sticks, cloves, cardamom, red chilli, fennel, wailong and fry it, add the onions and mix with salt and mix garlic ginger paste, then grind it. In that kadai add and mix oil, tumeric, red chilli powder, curry leaves, tomato puree, salt. 4.Now add grinded chettinad masala and mix with water & cook, then take it into a bowl and keep aside. 5.On hot griddle sprinkle water and wipe, pour the batter and spread it thin, then spread ghee, prepared masala, grated boiled egg, coriander leaves and cook, then cut & fold it and serve it with your favourite chutney & sambar.